Clashes broke out Monday in Baltimore, Maryland, just hours after the funeral of 25-year-old Freddie Gray, a black man who died from a mysterious spinal injury while in police custody earlier. 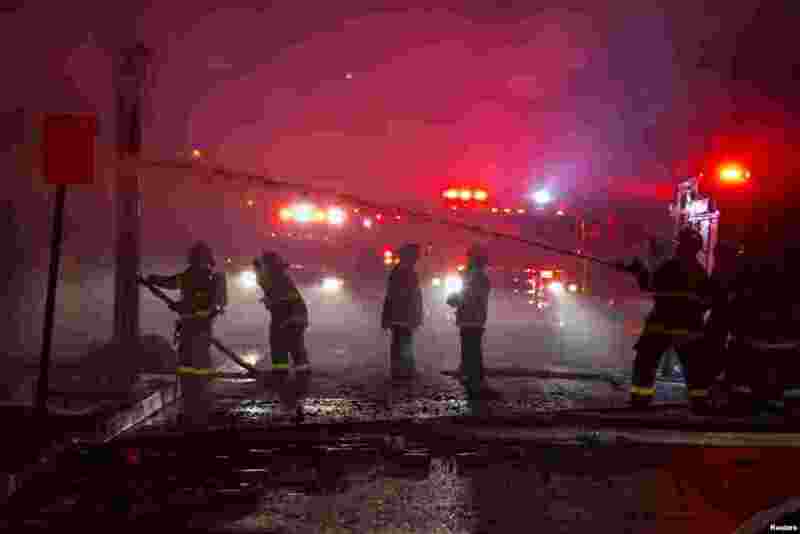 1 Firefighters battling a blaze on East Biddle street at Montford Avenue, Baltimore, April 28, 2015. 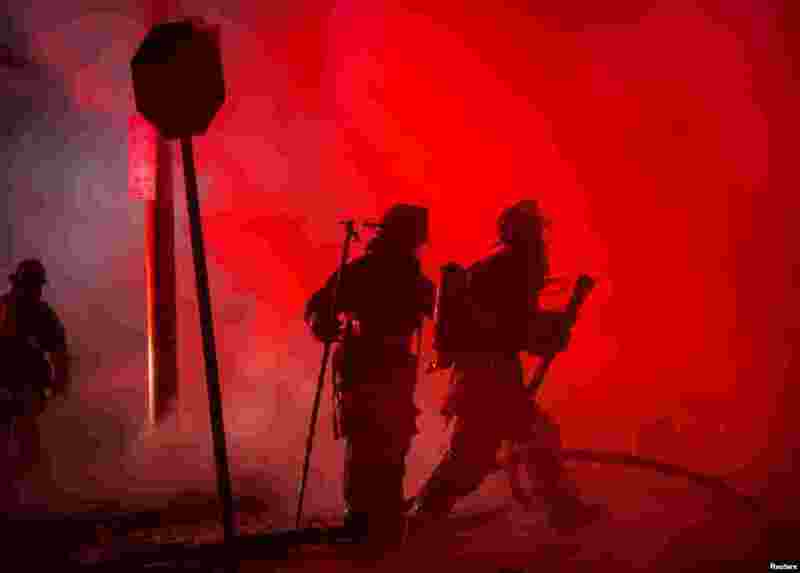 2 Baltimore city firefighters spray water on a residence which was set ablaze in west Baltimore after the funeral of Freddie Gray in Maryland, April 28, 2015. 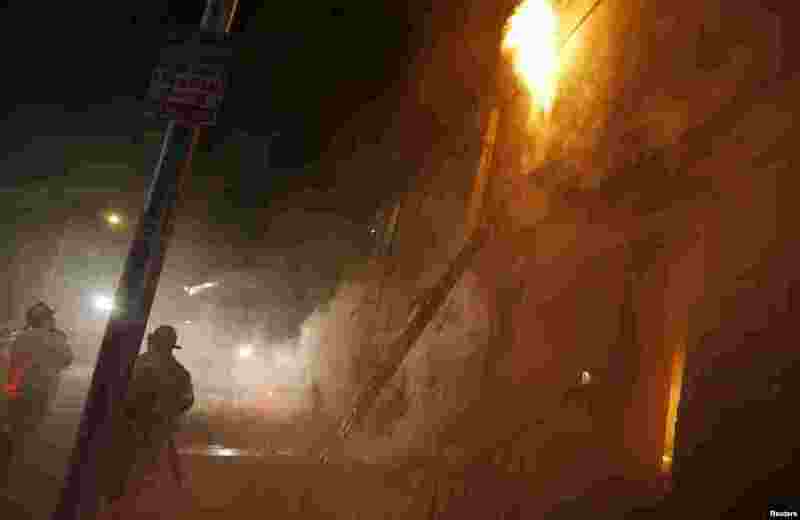 3 Baltimore firefighters attack a fire in a convenience store and residence during clashes after the funeral of Freddie Gray in Baltimore, Maryland in the early morning hours of April 28, 2015. 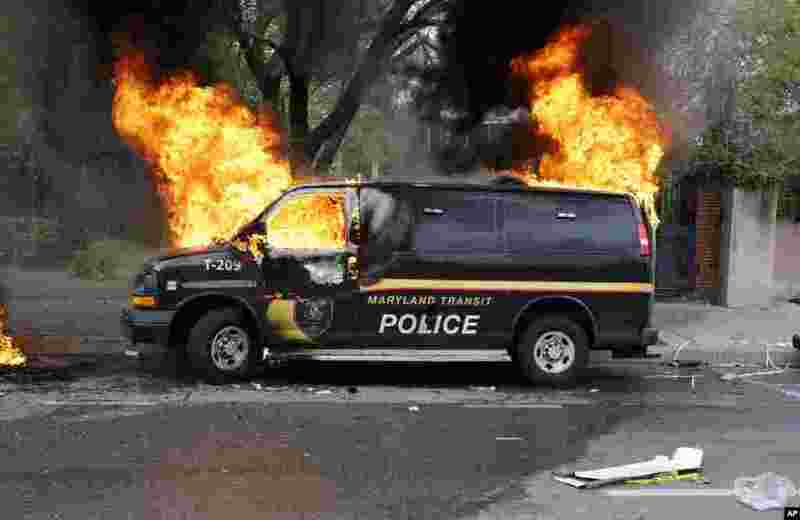 4 A police vehicle burns during unrest following the funeral of Freddie Gray in Baltimore, April 27, 2015.